Nearly new 2017 regular cab Ram 1500! Only 5,580 miles! Factory Warranty Remaining! One previous owner. Locally owned and maintained. Powered by a strong, yet efficient 3.6L, Flex Fuel VVT V6 engine paired to an automatic transmission. Drives smooth, quiet and relatively unfazed by even significant bumps. The adjustable air suspension makes the ride even better. Features tow package with towing capacity up to 7,600 lbs. Original paint, deep tinted privacy glass and premium Encore tonneau cover. Clean and comfortable front seats. The cabin is well built with good quality materials. Our Ram is equipped with automatic headlights, a locking tailgate, a rear backlight, air-conditioning, a 40/20/40-split front bench seat, a tilt-only steering wheel, body-color bumpers/grille, foglights, carpeted floors, original floor mats, cruise control, and a six-speaker sound system with a USB port and an auxiliary input jack. The Insurance Institute for Highway Safety gave the Ram 1500 Crew and Extended Cabs its highest rating in the moderate-overlap front-impact and side-impact tests. 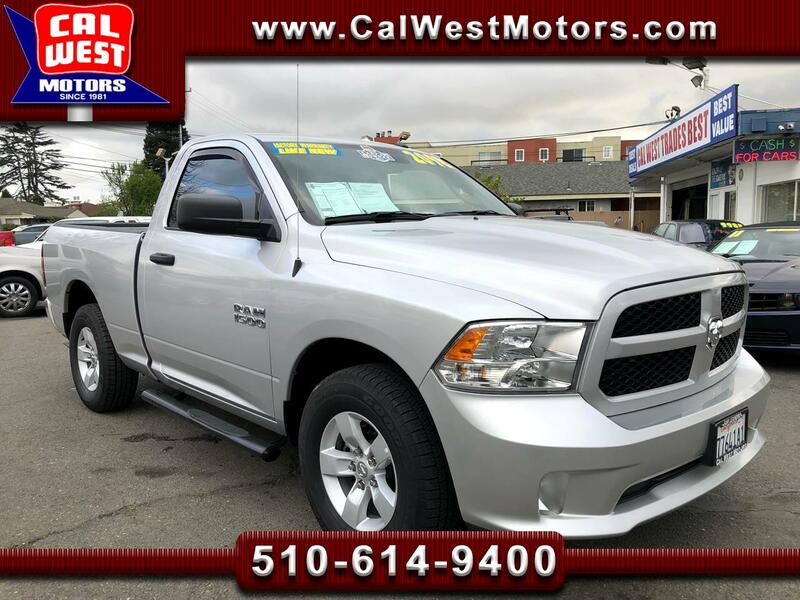 This Ram is nearly new, in exceptional condition and has great features! Great Value under $20,000!